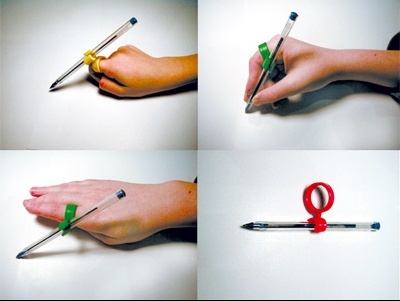 Grippit Writing Aid Pack of Three, Easy To Use. 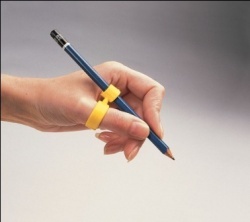 By removing most of the requirement for gripping ability, the Grippit pencil grip brings the use of many everyday implements to a wider range of people and leaves them able to perform common tasks such as writing without assistance. Normally for right-handed persons, the right index finger is slipped through the expandable finger ring and is worn high on the finger. 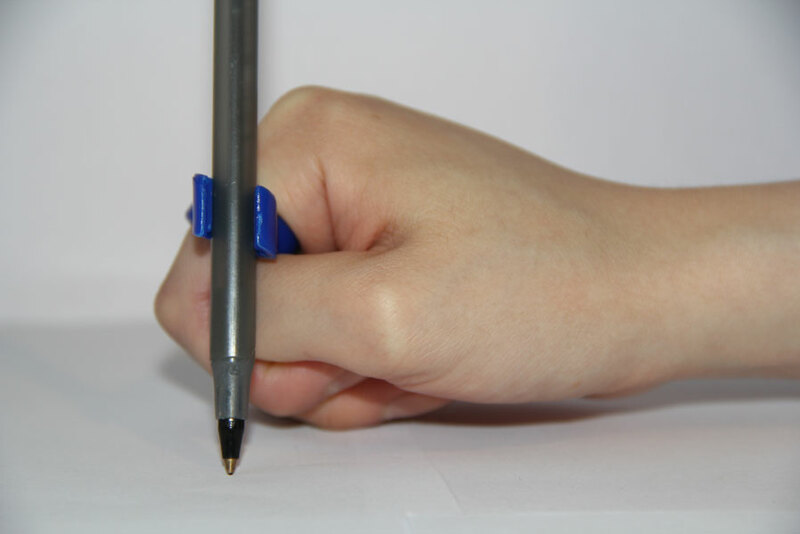 Best results can be experienced if the pencil grip is worn near to the wearer’s knuckle. I bought the Grippits as I have difficulty holding a pen because I have arthritis. I cannot believe the difference. I am using it now with a pen to type in this message and I use it to paint pictures,which is my passion. Thank you.